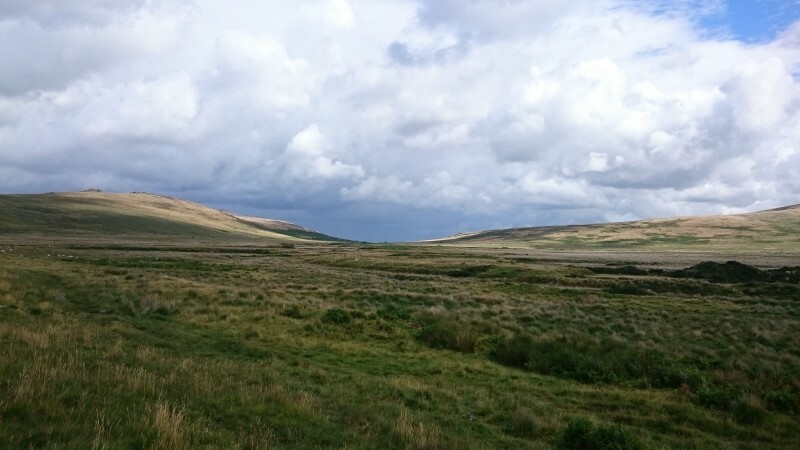 There are a few places on Dartmoor that represent a kind of pilgrimage. Places that any Dartmoor lover feels that they should visit. 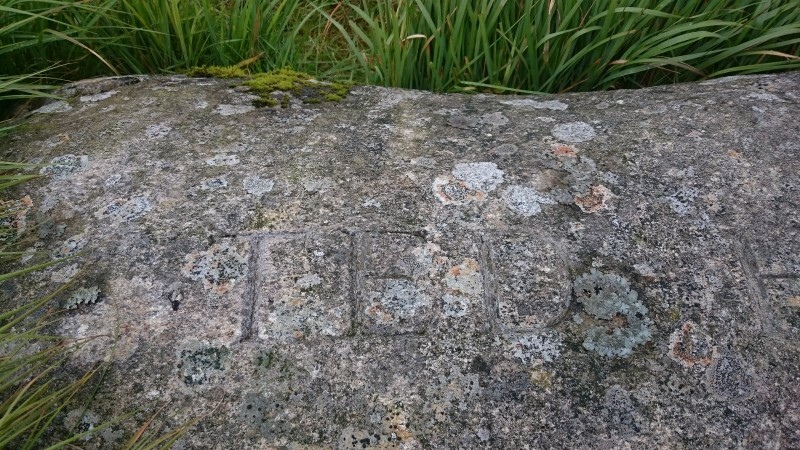 These would include Cranmere Pool (first Dartmoor letter box), HIgh Willhayes (highest point on Dartmoor), Duck’s Pool (another remote letterbox) and the Ted Hughes memorial stone. Yesterday Blonde One and I set out on a Dartmoor walk to visit a couple of these (and collect some Dartmoor 365 squares in the process). The Ted Hughes memorial stone was first on the list. The day was definitely a mission for Blondes, with an 18-kilometre walk it was set to be long, with terrain that we both knew would be boggy and rough it was set to be arduous and with forecasted ‘showers’ we knew that we were going to get wet (showers on North Dartmoor are usually more akin to deluges!) On the positive side the day also involved the type of challenges that we love: a climb up a gorge, a lot of map and compass work and a ‘secret’ location. These days, the ‘secret’ location of the Ted Hughes memorial stone is available as a six-figure grid reference from the internet. I wish it wasn’t in a way as secrets make for the best type of treasure hunting but, when you think about it, the proportion of people who can use a six-figure grid reference is relatively small and, if they can, it still gives a rather large (when you are searching for a stone amongst many stones) area of 100 metres. Which meant that we had to do what Blondes enjoy best… a bit of ‘finding’. Which, to our delight, after a bit of pacing to judge our distance, and some careful study of the contour lines on the Ordnance Survey map,we did relatively quickly. (Note: you need a 1:25,000 map for this type of walking). Ted Hughes had a rather sad and turbulent life but, like many people, found solace and happiness on Dartmoor in his later years. 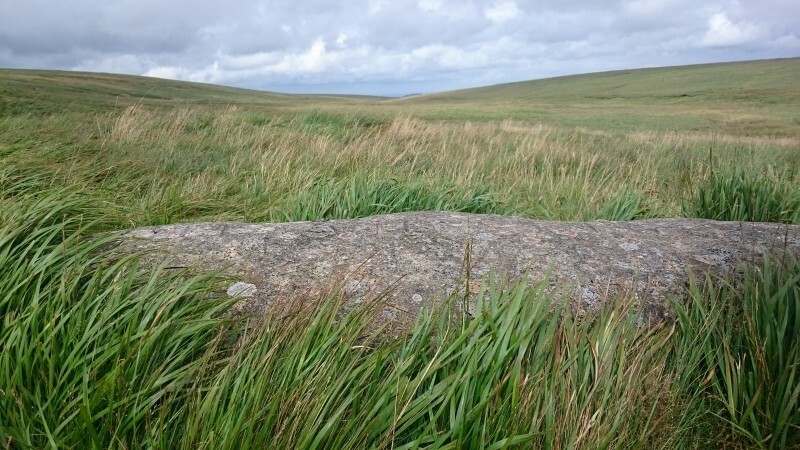 His memorial stone sits at a favourite spot and is not one that would be easily found. 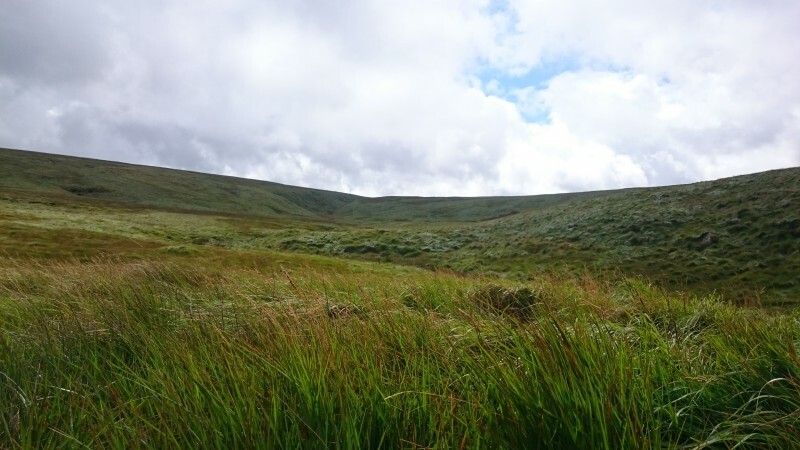 His family chose well, it is at the top of one of the most beautiful and wild valleys on Dartmoor and has that feeling of a place one would like to stay forever. I would like to suggest that Ted Hughes did. A lovely and poignant blog post. A couple of years ago we finally fulfilled a long-held wish to visit the memorial, and, as you suggest, it certainly tests the compass and map-reading skills. We found it eventually, with two pairs of wet feet, but it was worth it to pay homage to a much maligned (in some quarters) man. Thank you. We will certainly be returning to the spot again, a very peaceful and beautiful one. Never visited the stone, but used his poetry often. Cranmere Pool brings back lovely memories, though – I have its stamp on my O.S. One-inch map, sheet 175, Okehampton. The map was published in 1960 but the seventh series dates to about 1965 and I think my Cranmere Pool walk was 1966 or 1967. I’d spent the night at Bellever Youth Hostel and followed the East Dart river on the west bank a lot of the way, over the Teign Head and East Dart Head marshes and Black Hill. Navigation is never my strong point, but it was a day for miracles and I went straight to Cranmere Pool, collected my stamp and then crossed Taw Head to follow the North Teign River and end up at Gidleigh Youth Hostel – a timber hut behind the Post Office, always a favourite because it was where I joined the YHA a year or so earlier. I don’t think I have ever gone straight to such a small target since! That map is older than me! What a treasure to have. I have walked almost all of your route too. That’s a lot of bog! Did you have a dog at that time? No dog, I am afraid – pets were not encouraged in Wren’s Quarters. You are right about the bog! My walking boots were VERY heavy too – modern light-weight boots had not been invented then. Hee – my waterproofs were heavyweight PVC too – really heavy and stiff but exceedingly waterproof; and with a black sou’wester for a hood. Come to think of it, that was the sou’wester that I lost on the bus when I broke my wrist! I was very sad about that. It held memories. I cherish some much older maps – some of your great grandfather’s.